An Original French Theater-Used Folded One-Panel Movie Poster (appr 47" x 63") Condition: Very good (C6) Black tape on the back visible on the corners, pinholes, displays very well ! See our 10 GRADE SYSTEM Page for more information. 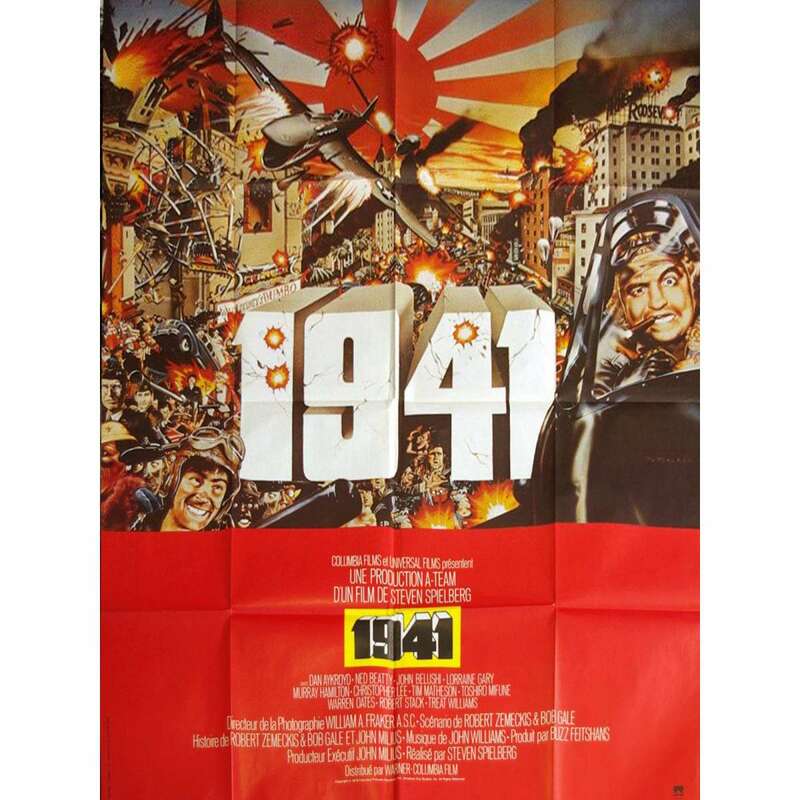 1941 is a 1979 Steven Spielberg comedy film, written by Robert Zemeckis and Bob Gale, and starring John Belushi, John Candy, Toshiro Mifune, Ned Beatty, Christopher Lee and Dan Aykroyd. The film is about 1941 attack on Pearl Harbor.